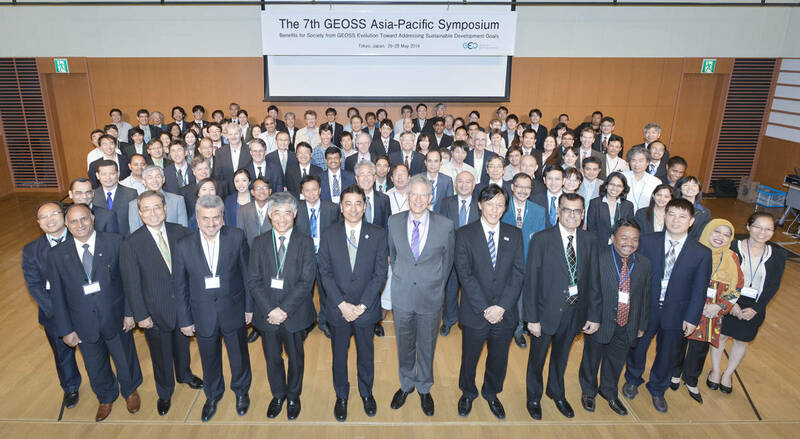 The GEOSS Asia-Pacific Symposium (GEOSS AP Symposium) is organized by GEO under the leadership of Japan from 2007, with the aim of disseminating GEOSS in the Asia-Pacific region and exchanging information for promoting GEOSS and deepening common understanding. 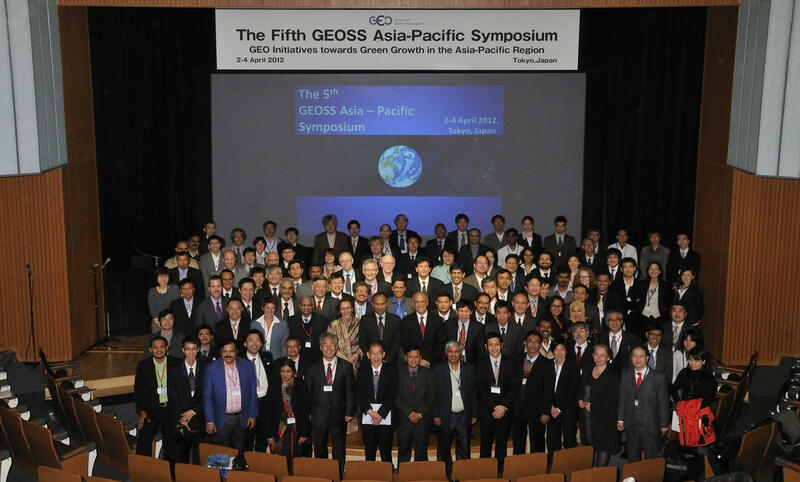 At the symposium, reports on progress of GEOSS in each country are reported and aim to promote GEOSS in the Asia-Pacific region by holding working groups according to the theme of each symposium. 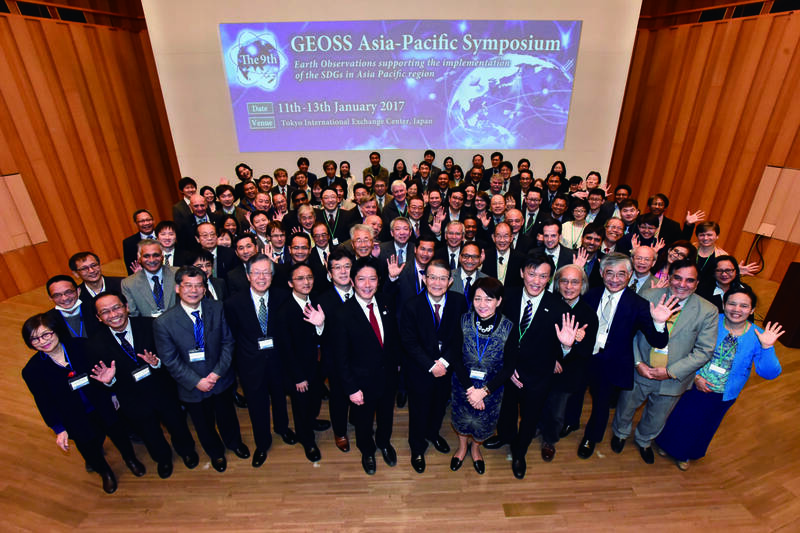 The Asia-Oceania GEOSS (AOGEOSS) was approved and launched at the GEO-XIII Plenary in St. Petersburg in November 2016. Country and Regional Report: Australia, China, Japan, Laos, Malaysia, Mongolia, Pakistan Solomon Islands, South Korea, Vanuatu, Vietnam, India, Asian Disaster Preparedness Center (ADPC), Asia-Pacific Network for Global Change Research (APN), The Asia-Pacific Regional Space Agency Forum (APRSAF) and Asia-Pacific Space Cooperation Organization (APSCO). 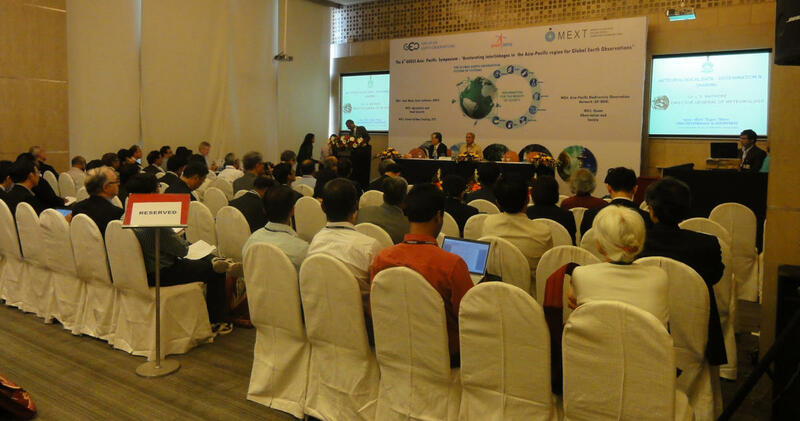 WG5: Agriculture and Food Security. the importance of integrating space-based , ocean, and in-situ observations. 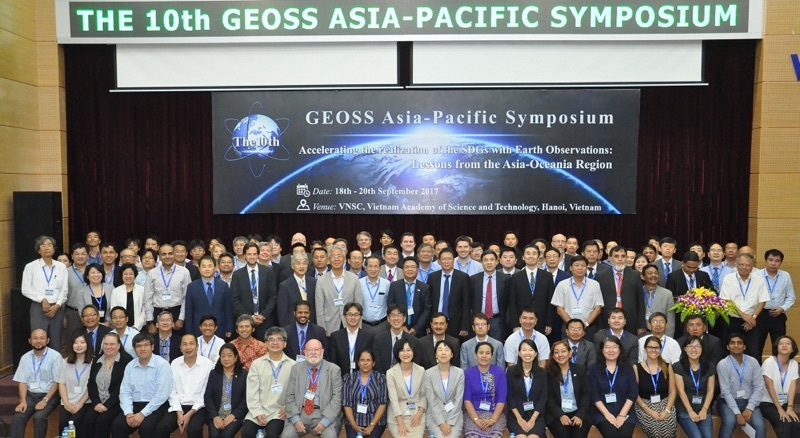 the 10th GEOSS AP Symposium will be held in Vietnam in September 2017. 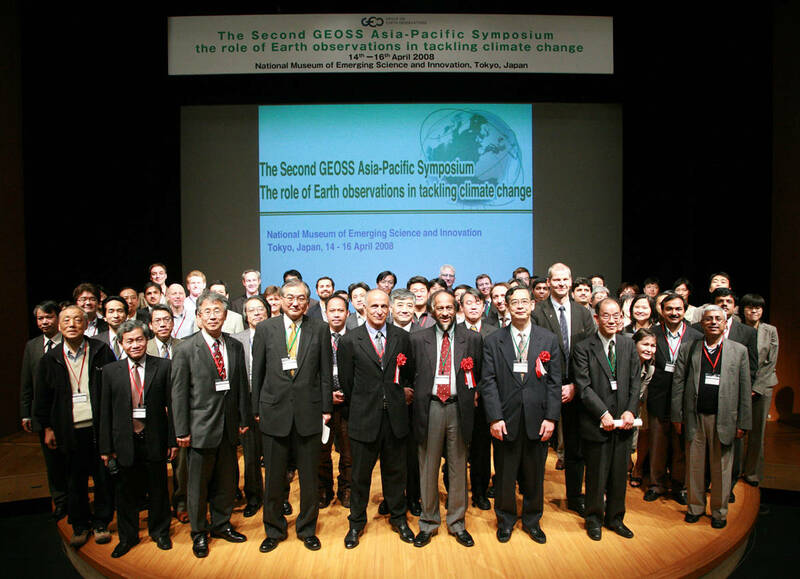 For more details, please visit the 7th GEOSS AP Symposium HP. Country Reports: Japan, Australia, Bangladesh, China, Korea, Nepal, Pakistan and Thailand. Country Reports: Japan, China, India, Indonesia, Iran, Korea, Malaysia, Nepal, Philippines and Thailand.